The highly acclaimed title Red Dead Redemption 2, a Western action-adventure game developed and published by Rockstar Games, has left a mark on our hearts with its immersive story, characters and rich diversity of strong NPC's. 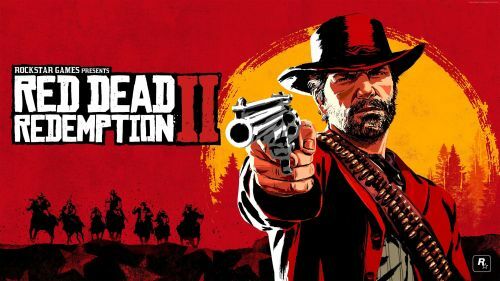 RDR 2 is one of the perfect games which is great in every aspect and are hard to forget. A similar game which is also a great title and highly acclaimed by the gaming community is The Last of Us. Red Dead Redemption 2 showed us that single player games with good narratives still have the mettle to stand at the top. The latest online DLC for Red Dead Redemption 2, Red Dead Online is a mode in which you can experience the richly diverse world of Red Dead Redemption 2 with your own character and relive the wild experience with your friends. Despite being in beta stage, Red Dead Online has millions of players. The Online mode is somewhat similar to the previous Rockstar titles online mode in some manner. The toughest task in Red Dead Online is earning money. Even after completing loads of quests, you get paid a very low amount. Today I am going to talk about a few easy steps which will help you to earn those gold bars and money. First of all, always try to do strangers mission which are to be completed in a given time limit. Note that to earn the maximum amount of money and experience points you have to turn in at the last few seconds of the total time given to you to complete the quest. There is a particular quest available at the Wallace station which is provided by a guy named Angus, his mission is easy and can earn you a good amount of gold, money and experience points. He usually gives missions related to fetching lost coaches or hunting a wild animal and returning their pelts as a proof. The next tip is always looting the bodies of dead people as there are valuables which cost more than loot money when sold to a fence. Hunting is one of the basic ways which can earn you a good amount of cash. Be wary of the stars shown at the right corner of every animal you hunt. More star means good easy money. Other parts of hunts can also be sold at the butcher shop. These were the few tips on earning easy cash in Red Dead Online. Stick to Sportskeeda for more updates and don't forget to check out the upcoming list of stranger missions and other ways to earn easy cash in Red Dead Online.